NO hidden charges or unexpected costs, what you see is what you pay! "Overall a great service which we would highly recommend"
"Despite hundreds of hits per second the site stayed open"
"I was very impressed with the finished article"
"The service I had was first class"
"We have been more than happy with the extra business we have gained from the site so far.It was also completed in the expected time, I would have no hesitation in recommending them." 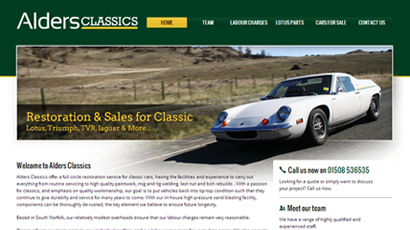 We will design a professional car dealer website for you complete with a fully maintainable used car stock list that's easy to update, and it even scales your photos to fit the page. You can add & edit your pages, update your stock list, load photos and see stats anytime! We don't use templates, we create unique designs to make your new or used car company stand out. No logo? No problem! Our in-house design team will create one for you. We make sure your branding remains consistent throughout the design to optimise user experience. 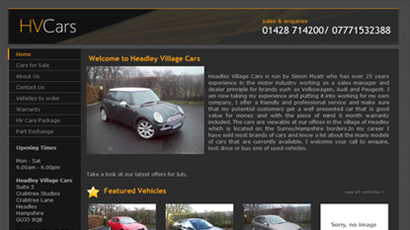 Our sites are built on our custom 'CMS', allowing you to easily update your car dealer site as and when you need to. Hand coded for optimum performance and Search Engine Optimisation. Consistent placement of navigation which ensures users do not get lost, vehicles can be categorised too. 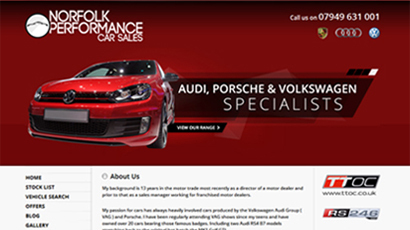 To order your DealerWorks car dealer website please call 01376 310 510 or order online. Our process is quick and easy, giving you a professional, custom designed stock list dealer website to suit your used car dealer business and increase your enquiries & sales. At the end of your first year, website hosting, 'cms' panel & email is £269+VAT per year. That's just 27p per day! 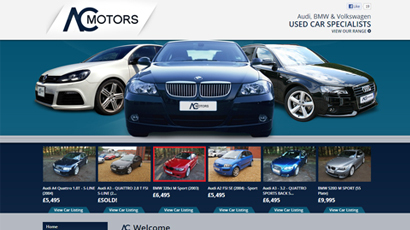 Order DealerWorks today and have your own easy to edit online used car showroom website in under 2 weeks! If you are still not convinced, why not give us a call on 01376 310 510 to discuss how DealerWorks can give you a great looking, professional car dealer website, which can help your business and give your dealership a strong, trustworthy and successful image to prospective used car buyers. 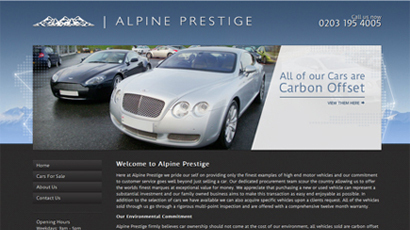 Our team are experienced car dealer website designers and they have built effective car dealer sites for a wide range of used car dealers across the UK, Ireland and Jersey. Enhanced SEO Pack - Our fantastic Search Engine Optimisation pack is now included with all DealerWorks sites, this pack includes editable META data on all pages, re-written URLs for enhanced paths (better SEO - based on page titles) and up to one hour of content writing from our SEO marketing team to help develop your homepage text. We also include a 50% off voucher for your first months Proactive Marketing package should you wish to add to your site and take our on-going marketing services, a great way to boost your car dealer website traffic and get higher search rankings. If you're in the mail order business, please take a look at one of our other products - MailOrderWorks the mail order software system which provides order management, stock control, prints invoices and more. Online shop design and integration is available too, for true multi-channel retail. Receive all the latest news and offers from DealerWorks web design direct to your inbox.